Studiocanal celebrate the work of John Carpenter, 1980’s master of horror, sci-fi and fantasy, with the release of a select range of classics. I’ll be reviewing Prince of Darkness here, however the rest of the 4k restorations in this collection are The Fog, They Live and Escape from New York. 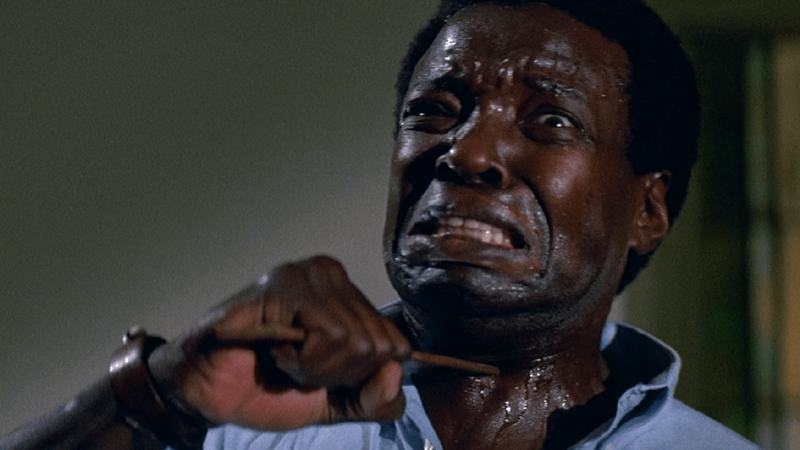 All four brand new 4k restorations were done using the original camera negatives, with the colour grading approved for the new restorations and UHD versions by the films’ Cinematographers: Gary B. Kibbe and Dean Cundey. Deep in the basement of an abandoned church, once run by a sinister religious sect, lies a strange casket of green liquid being investigated by a group of local theoretic physics students. 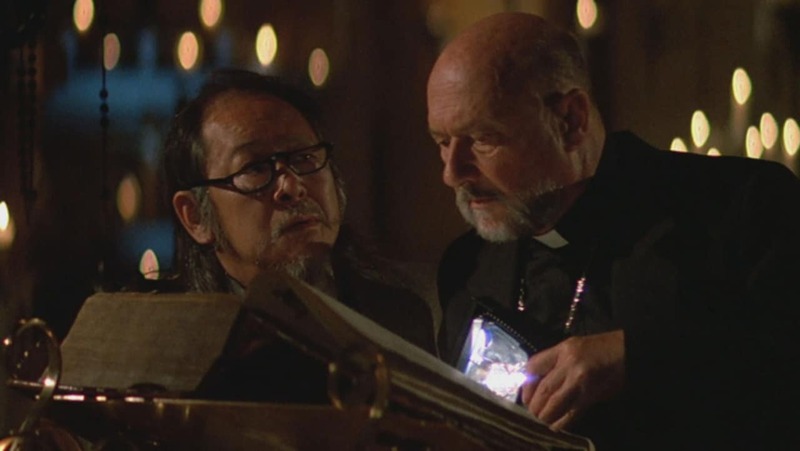 A priest (Donald Pleasence) has collected a motley crew of scientists for a clandestine experiment, including quantum physics Professor Howard Birack (Victor Wong) and his students. The team collect together in the run-down church at the wrong end of town amongst sinister changes to the earth as the aether itself oozes menace. As the night draws on, the students soon realise that the strange relic holds a dark and powerful force beyond their control. 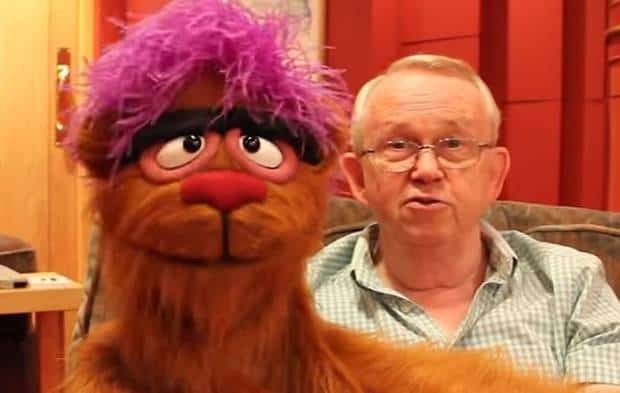 A force that could well be the essence of pure evil: the remains of Satan himself. The team begin to decipher ancient texts to determine the source of the malignant green liquid, the more the team find out about the mysterious gunge the less they wish they knew as the bodies pile up. Some may think the start of Prince of Darkness a little slow however I thoroughly enjoy the slow burn sickly build of the ominous presence. The use of twisting worms and squirming maggots still looks great and adds a deepening sense of unease as all things satanic are drawn to an unknown sinister festering presence. The gathering army of homeless people who include Alice Cooper in their number create a threating presence as they begin to encircle the dilapidated church. Rich imagery and delightfully grubby milieu shored up with a sturdy helping of disturbing ideas including a crucified pigeon makes this a highly memorable experience. Some may feel that the central characters are weakly constructed, failing to create empathy as they are dispatched by the evil goo, but for me this is not something that effected the story as we launch into a plethora of grisly deaths. There’s no escape for those inside the church as the gathering of hypnotised homeless people dispatch anyone leaving the church in inventive ways. Birack and the priest believe that the slime is the substance of Satan who in turn is the son of a more powerful being, the Anti-God. Meanwhile the other members of the research party are subjected to visions which appear to be a warning from the future, which gradually become clearer with each viewing to reveal the diabolical truth. 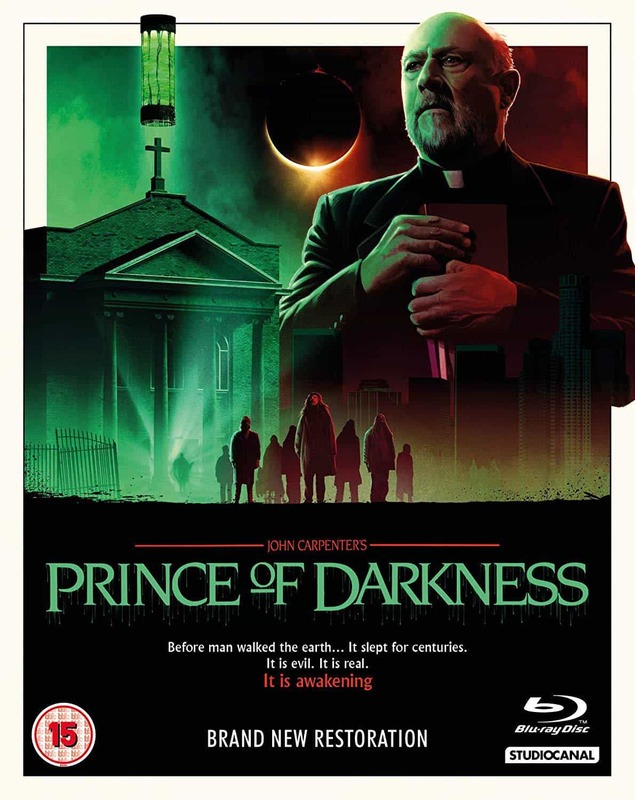 This Studiocanal release of Prince of Darkness is out on the 26th November 2018 on HE release and Steel-book on 29th October in the UK. Celebrated UK based artist Matt Ferguson has created exclusive brand-new artwork and you can experience the new 4K restorations, complete with new brand new and ’best of’ extras material, released on Home Entertainment platforms including UHD for the very first time. This is an extremely nice release of this classic stomach churner with crisp clear sound and vision, topped off with some nice extra touches that make this an excellent addition to your library of quality films.